At Bristol Family Dental, we continually update our office to make sure we’re using the most advanced tools available. 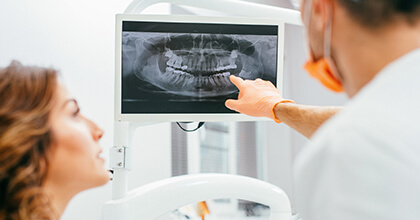 Thanks to modern dental technology, Dr. Ross Katkowski and our team can perform a wide variety of treatments faster, safer, and with less discomfort. Dentistry has changed a lot since you were a child! If you’d like to experience all the benefits contemporary dentistry has to offer, be sure to schedule an appointment today. 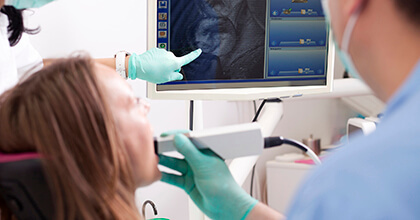 With our Dexcam intraoral cameras, you can finally get a look at your smile from your dentist’s point of view. These small, handheld devices can create high resolution images of your teeth and gums that can be shown to you on a chairside monitor. These images will make it much easier for Dr. Katkowski to spot minor problems, and they will also help you understand what he is talking about so you can make more informed treatment decisions. Conventional film-based x-rays have always had a few drawbacks: it took time to develop the images, the process required toxic chemicals, and they emitted quite a bit of radiation. These issues are why we only use digital x-rays. They can create images almost instantly (which we can show you on a chairside monitor), they don’t require harsh chemicals, and they emit about 90% less radiation. Now, this essential diagnostic tool is better, faster, and safer for all of our patients. Typically, a patient needs to visit their dentist’s office twice and wait 2 weeks to have a tooth repaired with a dental crown. While this treatment is effective, it simply doesn’t fit into a modern person’s schedule. 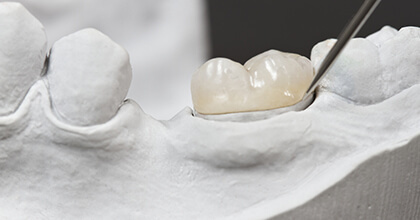 CEREC crowns, however, can be designed, milled, and placed in just one visit, making it easier than ever for people to get the dental care they need. When it comes to your gum health, the best place for you to be is with Bristol Family Dental. Why? 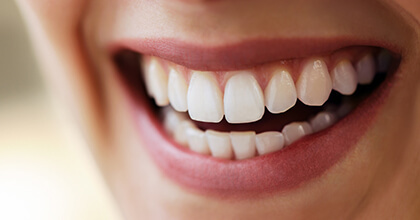 Firstly, we have a periodontist (gum specialist) on staff, and secondly, they’ll be able to use a soft tissue laser for both gum disease treatments and cosmetic procedures. The Biolase Diode laser is able to precisely eliminate excess or infected gum tissue without causing a patient discomfort. In fact, it cauterizes while it works, meaning that you’ll recover even faster no matter which kind of procedure it was used for.